THE MOVEMENT FOR REFORM JUDAISM (MRJ). 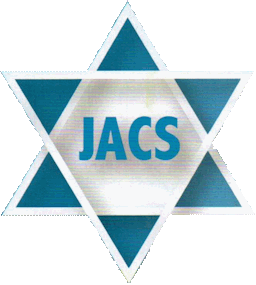 The MRJ is the national umbrella organisation of 42 synagogues of which SDRS is a constituent. It promotes Reform values and practices and offers support to established and developing communities. An annual summer Israel Tour is organised by RSY-Netzer for young people. Click the MRJ logo for more information, including the Beit Din and Mohelim. JEWISH CARE. SDRS has a close relationship with Jewish Care who hold several of their events in our Synagogue and we are always happy to support them in their activities with the local Jewish community. Click on their logo for information about their services. COMMUNITY SECURITY TRUST (CST). The CST provides physical security, training and advice for the protection of British Jews, and represents British Jewry to Police and Government. SDRS has sought their advice in regarding the security of our premises. 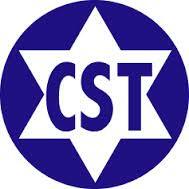 For more information click the CST logo. THE JACK PETCHEY FOUNDATION. The Foundation’s vision is a world where young people have high aspirations and the opportunity to develop their potential. Each year the Foundation grants Achievement Rewards to young people who have made an outstanding achievement and several of SDRS’ youngsters have received a reward. Click on the logo to read about the amazing Jack Petchey. SOUTHEND BOROUGH COUNCIL. Several members of SDRS have worked closely with the local authority and served in various voluntary roles. We are represented on the Southend Interfaith Working Group, and take part in the annual Community in Harmony Event. Click on their logo for information about services or enquiries. 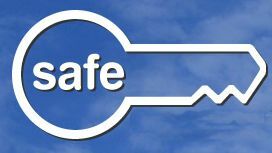 SAFE - SUPPORTING ASPERGER FAMILIES IN ESSEX. Every month during term time, a group of parents with children who have Asperger’s Syndrome (AS), and another small group of adults with AS meet up to discuss issues concerning this particular population in the community. Asperger’s Syndrome is a form of autism. The meetings are run by SAFE – Supporting Asperger Families in Essex –and over the years they have hosted an array of guest speakers and topics that have given the group vital information about how to access services, training, activities or just moral support. JACS: A few hours to spare on a Wednesday afternoon? Then come to JACS. We are a club for the over-55's and we meet every week at the Hebrew Congregation in Finchley Road, Westcliff-on-Sea. For £3.50 as a visitor and £2.50 as a member, you get the chance to chat with old friends and new, spend an hour being entertained or listening to an interesting talk or taking part in a quiz, etc. and then have some cake and a drink too. The doors open at 12.45 p.m., the talk is at 2.00 p.m with refreshments at 3.00 p.m. We are a friendly group and actively welcome new members to our club. For more information, contact Allan on 01268 771978 or email b [dot] goldstein [at] sky [dot] com.